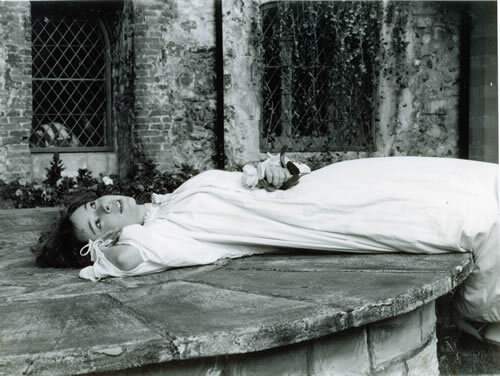 There have been three King’s Week productions of Romeo and Juliet, in 1955, 1982 and 1990. The first was directed by R.W. Harris, the others by Andrew Dobbin. This version was performed in the garden between Linacre and the newly built Luxmoore. Edward Carr and Lucinda Galloway were Romeo and Juliet. The Classical play in the Memorial Court, entitled Weevil, was a version of Curculio by Plautus. It featured Wesley Stace in the title role. Wesley is now well known in the United States as the popular singer John Wesley Harding. King’s Week music was varied. There were two Symphony Concerts, the Serenade in the Cloisters, a Concert of Light Music, a Song Recital, and the Jazz Concert, a regular feature since 1978.